After Disasters, DNA Science Is Helpful, But Often Too Pricey : Shots - Health News For decades, DNA has been used to identify victims of crime, even victims of war crimes. But there's no international standard for using DNA analysis for identifying bodies after a disaster. So some scholars are calling for an international group with the same reach as weapons inspectors. Human DNA is the ultimate fingerprint. A single hair can contain enough information to determine someone's identity — a feature that's been invaluable for identifying the unnamed casualties of natural disasters and war. But forensic scientists who use DNA say the technology isn't always available where it's most needed, like in poor countries, or in war zones like Syria. The technology is often too expensive or too complicated, and where there are large numbers of unknown dead, you need far more than just DNA profiling equipment. You also need sophisticated computer programs to organize and match DNA samples from numerous family members, as well as experts to read the samples properly. Alex John London, a medical ethicist at Carnegie Mellon University, says that while there are numerous groups that do DNA identification worldwide, and the process is often ad hoc and erratic. 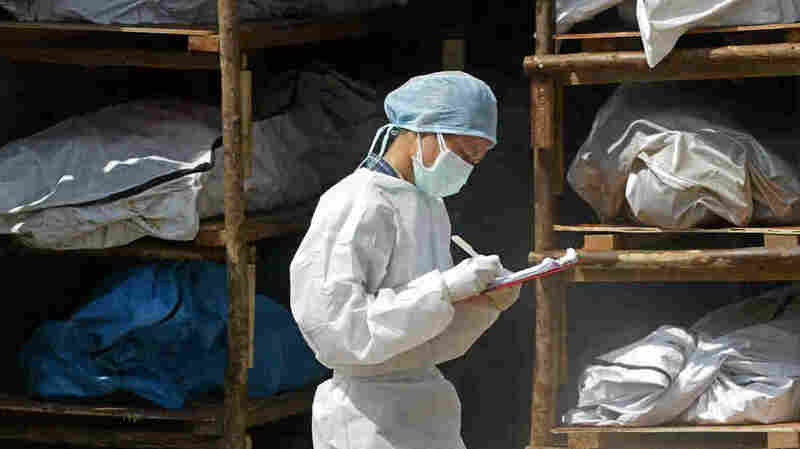 It was largely the Indian Ocean tsunami that got forensic experts thinking. There were tens of thousands of unidentified bodies, and DNA experts flocked to Thailand to set up labs. Tom Parsons, a DNA expert with the International Commission on Missing Persons, says Thailand got the attention because western tourists died there. Their governments sent teams to find their bodies, but it didn't go well. "All of the world's first-rate forensic teams took off to Thailand, where white people were killed," Parsons says, "with no centralized plan, pushing and pulling." Governments funded the effort because they wanted their citizens' remains back. But it was "really a mess," says Parsons. Different groups wouldn't share their technology, and even disagreed on how to do the DNA analysis. There was little coordination. Eventually Interpol, the international police organization, intervened. The commission ended up identifying some 900 people, mostly Thais who might not have been identified otherwise. Parsons says in the end the DNA work in Thailand was a success, but it revealed to forensic experts that there might be a better way to do this — that in fact a permanent organization with DNA "chops," money and an international mandate to respond to disasters might work better. "Our concern was that there should be a mechanism in place that would allow access to DNA identification beyond just ability to pay," London says. "Too often if there isn't a funder out there, then people who are missing relatives won't get access to the technology." So forensic scientists are calling for the creation of a DNA identification organization — one that functions much in the same way the International Atomic Energy Agency does, which sends inspectors to nuclear facilities. But London acknowledges in an article in the journal Science that a global DNA identification organization would face political obstacles, especially from governments at war with their own citizens.